HACCP is, first and foremost, a proactive concept to ensure food safety. 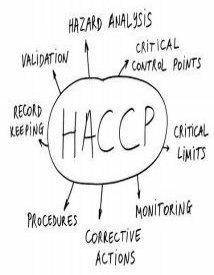 HACCP stands for the "Hazard Analysis and Critical Control Points" system. HACCP is a systematic approach to identifying and controlling hazards that could pose a threat to the safe production of food. Clada's HACCP programme treats the production of food as a total, continuous system, assuring food safety from inception to consumption. Included in this system are purchasing, receiving, storage, preparation, and service. The premise is simple. If each step of the process is carried out correctly, the end product will be safe food. In the design of Clada's HACCP food safety programme, management and staff work together to continuously review the key components of the HACCP system and work these components into its day to day processes. Clada operates a staffed Quality Assurance Department and Laboratory that maintain control over the plant quality control processes. Water, packaging materials and all production processes are carefully monitored to ensure that they meet the company specifications and standards.